Stop using cold, crappy weather as an excuse to skip your run. 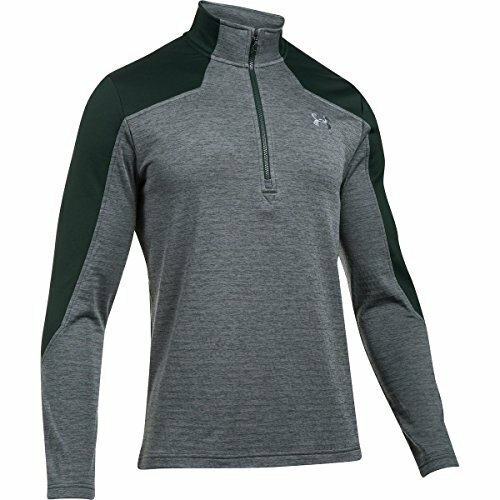 The Under Armour Men's Expanse 1/4-Zip Fleece Jacket helps you stay warm and dry when conditions are less than ideal. Lightweight Armour Fleece fabric keeps you warm without weighing you down, and it also wicks sweat and breathes well so you don't get swamped by heat-robbing sweat when your blood really starts pumping. The DWR coating repels light rain and snow when you get caught in an oncoming system, and Anti-Odor technology means you don't have to wash it between every workout.